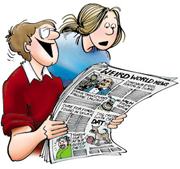 Remembrance Day | Holidays | FBorFW Strip Fix For Better or For Worse Comic Strip by Lynn Johnston. This entry was posted in Uncategorized on November 7, 1988 by stripfix. Originally Run: as they walk away she asks Elly what they're remembering. This entry was posted in Uncategorized on November 8, 1988 by stripfix. This entry was posted in Uncategorized on November 9, 1988 by stripfix. This entry was posted in Uncategorized on November 10, 1988 by stripfix. This entry was posted in Uncategorized on November 11, 1988 by stripfix. This entry was posted in Uncategorized on November 12, 1988 by stripfix. This entry was posted in Uncategorized on November 11, 1990 by stripfix. This entry was posted in Uncategorized on November 9, 1997 by stripfix. This entry was posted in Uncategorized on November 14, 1999 by stripfix. This entry was posted in Uncategorized on November 12, 2000 by stripfix. 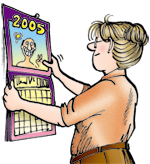 This entry was posted in Uncategorized on November 11, 2001 by stripfix. This entry was posted in Uncategorized on November 13, 2005 by stripfix. This entry was posted in Uncategorized on November 12, 2006 by stripfix. This entry was posted in Uncategorized on November 11, 2007 by stripfix. Lynn's Comments: All of the Remembrance day strips were done for my mother, my dad, and his brother who were all veterans of the Second World War. My dad was an instrument mechanic and my mother ordered all the parts for the aircraft. They met in England and had some wonderful stories to tell. Uncle Joe was a motorcycle dispatch rider. He never spoke about the war. This entry was posted in Uncategorized on November 7, 2017 by stripfix. Lynn's Comments: How lucky my generation was to have grown up in the post war era. My children, too, have lived in a peaceful environment. I worry about what’s happening now, however. Every day the newscasts are full of unimaginable posturing by powerful men with nuclear weapons who are sounding and acting like children. This entry was posted in Uncategorized on November 8, 2017 by stripfix. This entry was posted in Uncategorized on November 9, 2017 by stripfix. Lynn's Comments: This scene was done with reverence and gratitude. This entry was posted in Uncategorized on November 10, 2017 by stripfix. Lynn's Comments: I am always profoundly moved by this ceremony. This entry was posted in Uncategorized on November 11, 2017 by stripfix.